We're mid way. 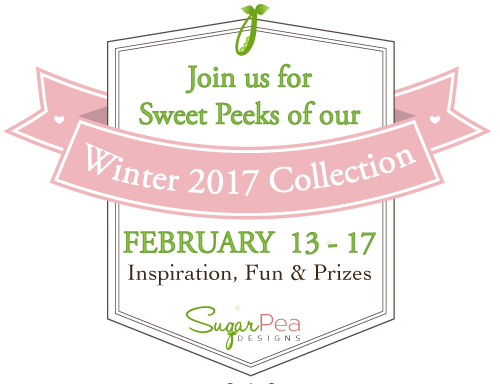 Welcome to day 3 of SugarPea Designs release week. 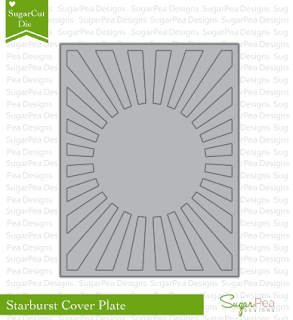 Today we are introducing Stay Strong and SugarCut - Starburst Cover Plate. I can't help but love this Stay Strong set. My dad used to be a body builder and was very active in body building community. This set totally makes me think of him. 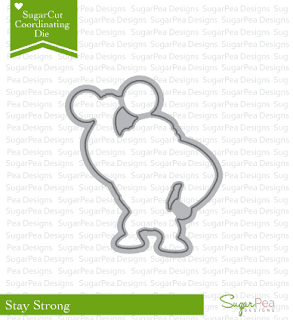 How would you like to win the Stay Strong stamp set? 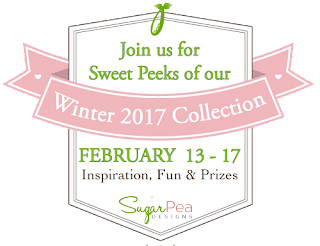 Simply leave a comment on SugarPea Designs blog and also on the DT blog for additional chance. Our team has come up with amazing inspiration for you! So grab a cuppa and join us! All winners during our Winter 2017 Product Release will be announced next Monday, February 20th! So you have all week to comment! See you back here tomorrow for more !! A fantastic card Vera. Good job! 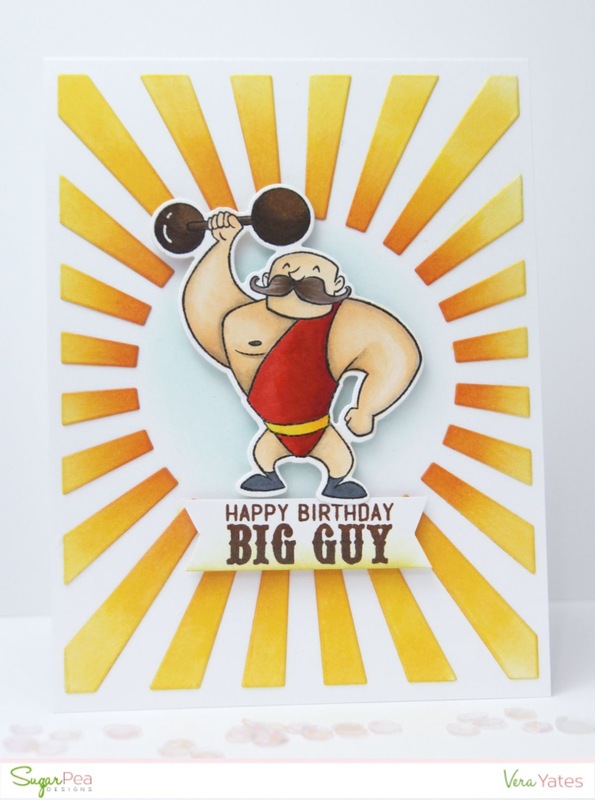 Such a fun card, Vera! Fabulous card! I love your coloring and the ink-blending on the rays. Such a nice story about your dad, too! Love how this image reminds you of your Dad. Love the card. 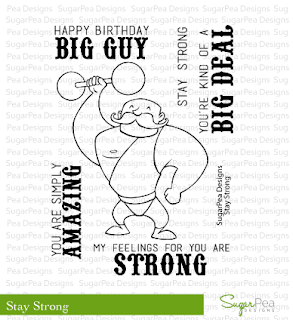 Great background for this strong man--I like the sentiment. What a great starburst cover plate. 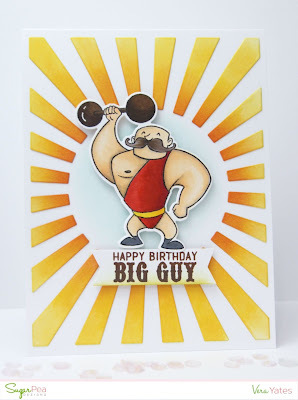 It is exciting to have a stamp/die for a 'guy' card :) Great Job. Great shading on the rays. Amazing card! I love the ombre look on the starburst. It is a perfect background for the strong man!